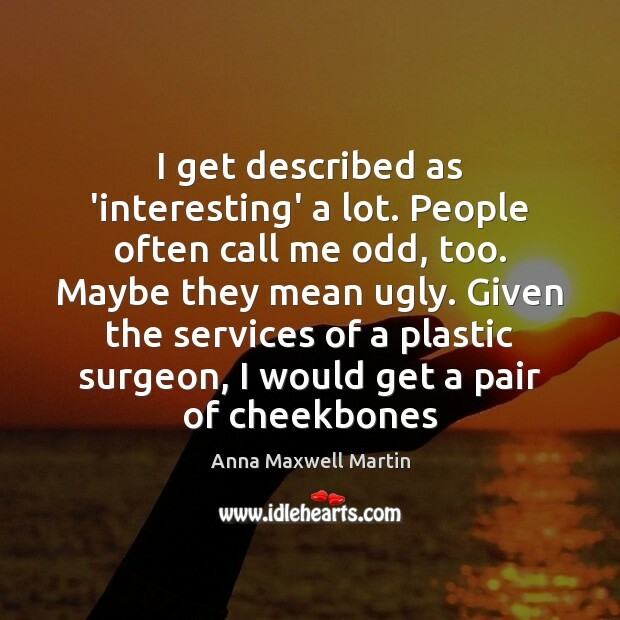 Enjoy the best inspirational, motivational, positive, funny and famous quotes by Anna Maxwell Martin. Use words and picture quotations to push forward and inspire you keep going in life! They're always such alive females. 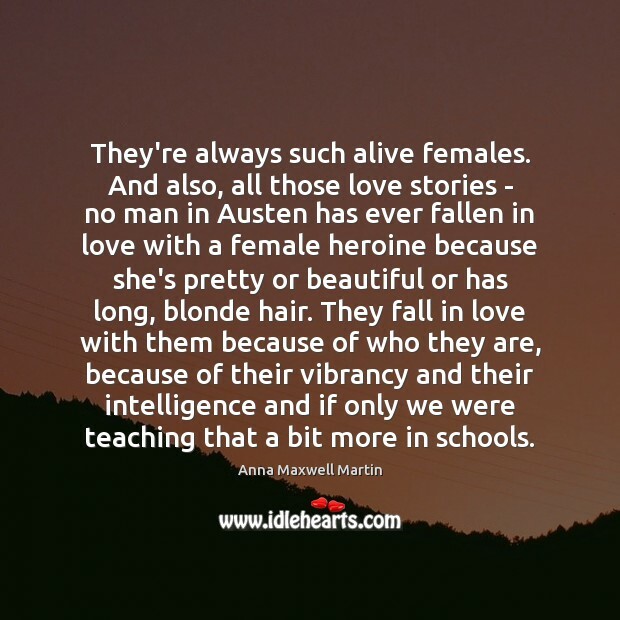 And also, all those love stories - no man in Austen has ever fallen in love with a female heroine because she's pretty or beautiful or has long, blonde hair. They fall in love with them because of who they are, because of their vibrancy and their intelligence and if only we were teaching that a bit more in schools. 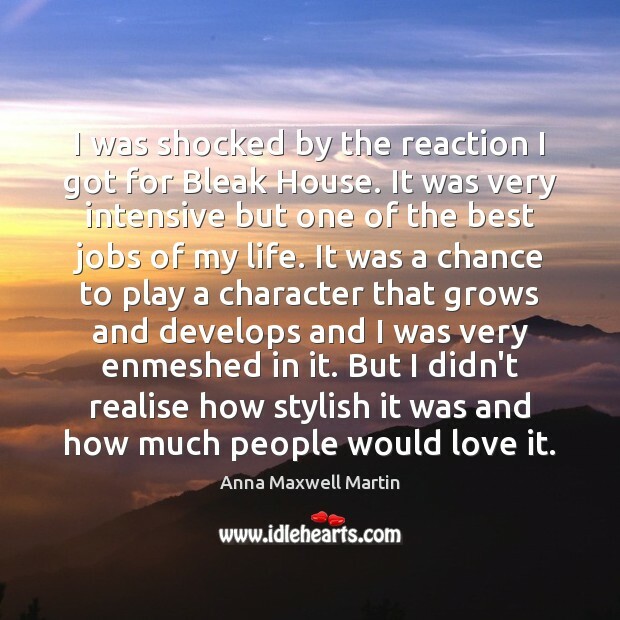 I was shocked by the reaction I got for Bleak House. It was very intensive but one of the best jobs of my life. It was a chance to play a character that grows and develops and I was very enmeshed in it. But I didn't realise how stylish it was and how much people would love it.